I have decided to stay with Blogger. In May I started transferring my blog content from WordPress to Blogger and after giving it a try for several months, I am still happy with the blog and the ease of posting text and images. 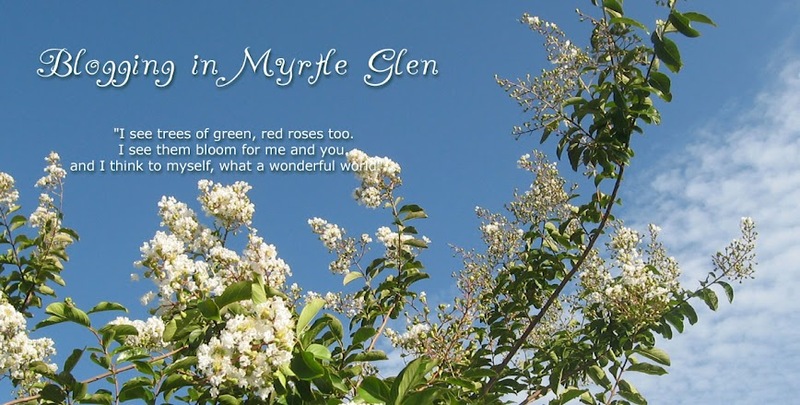 All content of my website MyrtleGlen.com is transferred to this blog and its pages and today I have set up the domain name to point to this blog. Hopefully, it will all work correctly, no broken links, etc. We will see! And one more decision, my old website had an extensive gallery section, it was mainly my source of plant name reference. I decided to transfer all pictures to my MyrtleGlenFL Pinterest page. The albums show pictures of the plants through the years, all of them are or were at some time growing in my garden. maybe because you have changed recently? But it may be an issue around having a domain? Best wishes! I have been with Squarespace for over seven years and am in a happy rut. I really am not very techno-savvy, and the thought of changing for some reason is daunting. Thanks! And no, I would not do the transferring of the blog again. Next time I will just start a new blog.